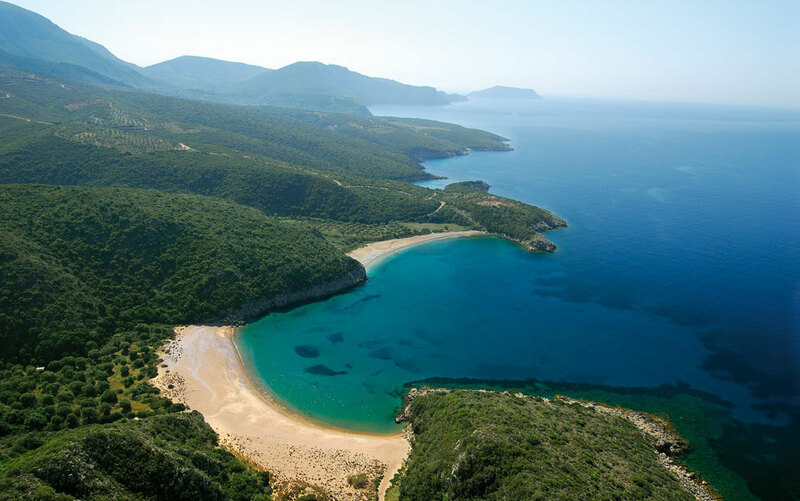 Messinia is one of the most beautiful prefectures in Greece offering its own distinctive nature and breathtaking landscapes, which invite visitors to explore its many natural attractions. 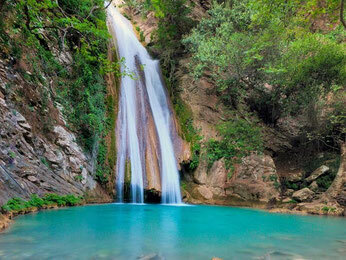 The landscape consists of lush forests, fertile valleys, large mountains and a spectacular coastline. Stretching for 250 kilometres, the shores of the prefecture are diverse. 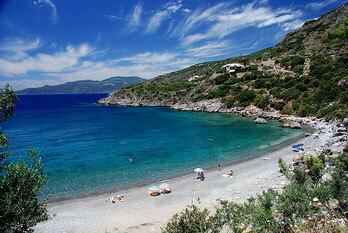 Approximately 120 kilometres of the coastline is suitable for swimming with clear water beaches to satisfy every taste. Whether they be white sand, pebble or steep rocks all forms co-exist side by side making them a heaven for sea lovers. The magnificent Messinian Bay washes one side, while the other one lies on the turquoise Ionian waters. Beautiful beaches can be found at Mati, Yalova, Voidokoilia, Finikounda, Koroni, Methoni, Velika, Ascension, Buka, Santova, Stoupa , Almyros, Little Mantinea Akrogiali, Kardamyli, and Agios Nikolaos. The crossing of the river Neda is a challenging and unique experience for visitors as it is characterized by constantly changing scenery, lush, majestic rocks and clear light green waters, waterfalls, the gorge, natural tunnels and cultural monuments. It owes its name to the nymph Neda, which together with the nymphs Theisoa and Agno nursed the young Zeus. 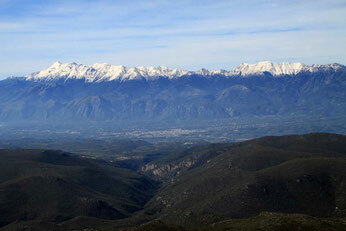 The central Taygetos Mountain Range which includes the highest peaks of the Peloponnese (2,407 m.) is one of the main features of Messinia and is one of the largest mountains in length stretching for more than 40 kilometres. It has a widely changing landscape with countless gorges, such as Rintomo, Vyros, Koskaraka and Laggada, caves and crevices as well rich and rare flora and fauna. The island cluster of Oinousses which consists of the small islands of Sapienza and Schiza is in the open sea across from Methoni on the southwestern coast of Messenia. The Oinousses of Messenia are famous internationally because of the Shaft of Oinousses in the south, which is 5,121 m. deep and is the deepest known point in the Mediterranean. In recent years two other deeper points have been measured eastwards, towards the Cape Taenaron. Research is conducted here in connection with the NESTOR experiment (Neutrino Extended Submarine Telescope with Oceanographic Research) takes place. Oinousses have the same name since antiquity. 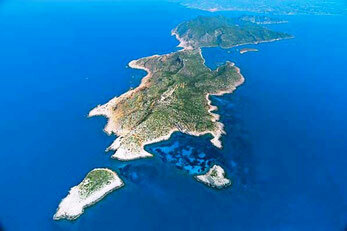 Oioussa was the ancient name of the island of Sapienza,. The islands are also named Sapientzes. 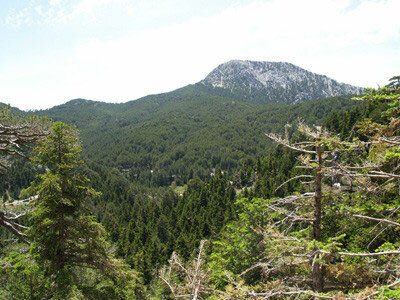 It is surrounded by high peaks and extends across approximately 2,750 acres and is 6kms from the highest peak of Taygetos, Prophitis Ilias. The area is a hiker’s paradise and is covered in fir trees and black pine, with some pines being almost 300 years old!